Editor’s note: The views expressed in this column are those of the author and do not reflect the thoughts of Inside The Pew staff. But even if we could elect St. Paul or St. Augustine as our new president, what impact would that have on a very un-Christian, post-Christian population without some massive spiritual awakening taking place first? It’s been said that no leader can be worse than the people who elected him/her. It’s one thing for Christians to be living in a post-modern, post-Christian society, but it’s quite another for our churches to be packed with “post-Christian Christians.” What I mean is that unless and until we as Christians finally commit ourselves to live our lives as Jesus intended, it really won’t matter who occupies the White House or the seats of Congress, or sits in the Parliament of any other nation in the world. Even if we can’t generate a predominantly Christian nation here in the USA, we can create a great number of Christian societies in the midst of it through our churches. But the church would have to be very different from what we see right now. By “different” I don’t mean in terms of the usual religious externals—clothing, appearance, religious language, and all of that—but in the way we act, what we value, and particularly how we treat one another. “How they love one another!” and “With what great joy they live!” were things the pagan world said of the earliest Christians. Who says that about the church today? Virtually every poll that has come out in the last few decades has simply confirmed the continuous dismal slide of the church toward a complete conformity to the culture. We’re no longer distinguishable in any way from the secular world. OK, so most of us have heard this before. Continuing to wring our hands about it won’t make any difference. Here’s what we can do about it. We can humble ourselves, turn from our own sin and selfishness, and give ourselves to prayer—real prayer, fervent prayer—continuing to ask, seek, and knock until God hears from heaven, forgives our sin, and heals our land (2 Chronicles 7:14). For churches to have any impact on society, change has to begin in us and our families first. We need to clean up our act, ensure that our family is centered on Christ, and then become healthy, active members of a real, God-honoring church. It’s been said of nations at one time influenced by Christian faith (but no longer) that their social problems are primarily the fault of the church. In other words, when the church really is the church—when the word “Christian” means a person in whom the Spirit of Christ dwells—things happen. The medicine of the Gospel works only when taken full strength. And history has demonstrated that the Gospel has the power to revolutionize society even when a minority are believers. Few doubt that the world is at one of its most critical points in all its history. We can’t make a mistake here. We’re faced with a full-blown call to arms, not with the weapons of the world, but with unrelenting prayer and the power of the Spirit, manifest in sacrificial love and steadfast obedience to whatever God calls each one of us to do. This just isn’t the time for Christians to be pursuing along with the world more and more luxury, ease, entertainment, property, toys, and all the rest. The church may have been lulled to sleep by bread and circuses as the rest of the culture, but we don’t have to remain so. Listen to the call of the Spirit. It isn’t too late…yet. Let’s ask ourselves, what can we do personally to resist the slide toward total cultural absorption of the church? 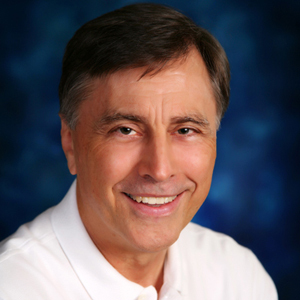 John Snyder (@jisnyder)is a pastor, author, and conference speaker. He has taught New Testament Studies at New College Berkeley, California, and has pastored and planted churches in California, New York, Switzerland, and Hawaii. Snyder received his Bachelor of Arts from Vanguard University (Costa Mesa, Calif.); his Master of Theology and Master of Divinity degrees from Princeton Theological Seminary; and his Doctor of Theology from the University of Basel, Switzerland. Snyder’s new book, “Your 100 Day Prayer: The Transforming Power of Actively Waiting on God”, is now available from Thomas Nelson Publishers on Amazon, Barnes & Noble, Christian Book Distributors, and other major retailers. He is also the founder of Community 321, an online faith community, and Basel Community, an information and relocation service to expats in the greater Basel, Switzerland, area. Contact Snyder via email john@community321.com.